Amy Snow is abandoned as an infant on the Hatville estate and eight-year-old Aurelia takes her in, despite her parent's objections. Amy grows up in between two lives, as a charity case/servant of the house and the companion of a wealthy and privileged young lady. When Aurelia dies in her twenties, Amy is unceremoniously kicked out of the house. But her best friend has not abandoned her, even in death. Amy is given a letter that leads to one last treasure hunt that will change her life forever. 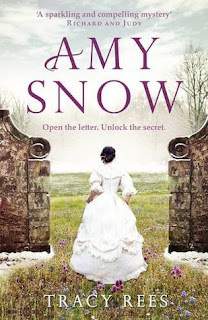 Amy Snow is a lovely read. As Amy reads each letter and discovers the next step she must take, we learn more about Amy, Aurelia, and their friendship. There are also some really great secondary characters, including (of course) two love interests. The end game of Aurelia's last treasure hunt was quickly obvious to me, so this may not be the book for you if you like to be surprised. But, if you like Victorian-era historical fiction or stories about friendship, Amy Snow would be a great choice. Thomas and Charlie are classmates at an elite boarding school. They live in an alternate Victorian England where smoke is emitted from your body if you commit a sin. Smoke tends to be a problem for the poor, while the rich and influential are trained from childhood to not smoke. 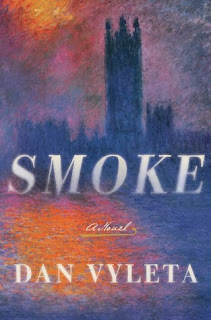 When the boys go to visit Thomas' relatives, they soon find out that everything they were taught about the smoke was a lie. I appreciate authors who imagine new worlds for us to immerse ourselves in, but I sometimes find that writers give us both too much information and not enough. I found places where Vyleta explained things I already knew, but I was still left with a lot of questions at the end. It seems like he drops us into interesting locales or situations, only to whisk us away to a new thing. There are so many interesting ideas in this novel, but the story never really came together for me. The idea is so interesting, but the execution fell really flat for me. Let me know what you think when read it! I think that's a great way to put it. It's a pretty good read and a nice story to read for a few days. That's disappointing about Smoke! I love good world building and it's such a letdown when a world with potential is underdeveloped. Agreed! I wanted more for this one.